Tesla confirms more UK charging points, UK research facility and new models | What Car? UK deliveries of the Tesla Model S begin today but company CEO Elon Musk says that the future for Tesla in the UK is bigger than selling cars. At the handover in London’s Docklands, Musk told What Car? that the UK market is an important part of Tesla’s plans, because he considers it could be the biggest European market for the company’s pure-electric fleet of cars. First on the agenda are the ambitious plans to get the company’s high-output charging infrastructure covering the whole of the UK and Northern Ireland by the end of 2015. With build costs estimated at ‘tens of millions’, the company plans to put its 120kw ‘Superchargers’ lets Tesla owners drive anywhere in the UK next year with the promise of restoring the car’s full range in around 30 mins. At present, the network covers the south of England. Fast charger availability across the Midlands is planned by the end of 2014 with the rest of the network being established through 2015. Until then, Tesla owners will have to use the slower, 44kw chargers available at selected motorway service areas or lower-powered roadside and home charging set-ups. Musk also revealed the company plans to build a dedicated R&D centre in the UK, looking not just at tweaking existing models for Europe, but also for engineering new models from the ground up. The company already has an assembly plant in the Netherlands so there are no plans as yet for UK production, although Musk said nothing should be ruled out. 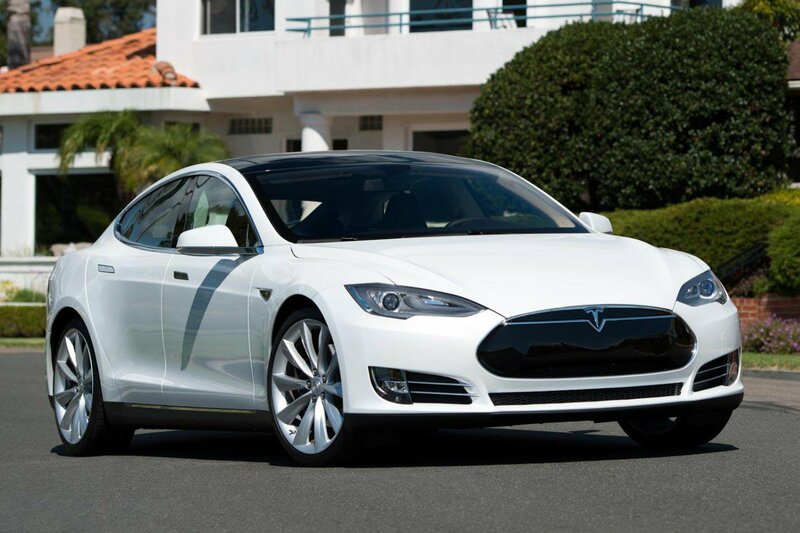 The Tesla Model S is available to order now with prices starting at £49,900 for the 60kw model. An SUV named the Model X is scheduled to appear in 2015, while Musk confirmed that small compact executive car is planned for 2017.